On Friday, March 8, the winter freshman and junior varsity athletics programs gathered to honor the athletes of the winter season. Awards were given for most committed, most improved, and most valuable athletes on each team. The Most Improved Player Award is awarded to the athlete who displayed the greatest amount of improvement and growth in their skills which contributed to the success of their team. The Bernie Ward Commitment Award is named after our beloved former faculty member, coach and colleague Bernie Ward is for the athlete who has displayed the most passion and commitment towards bettering themselves and their teammates during the season. The Most Valuable Player Award is awarded to the athlete whose contribution to the team contributed most towards that team’s success during the season. 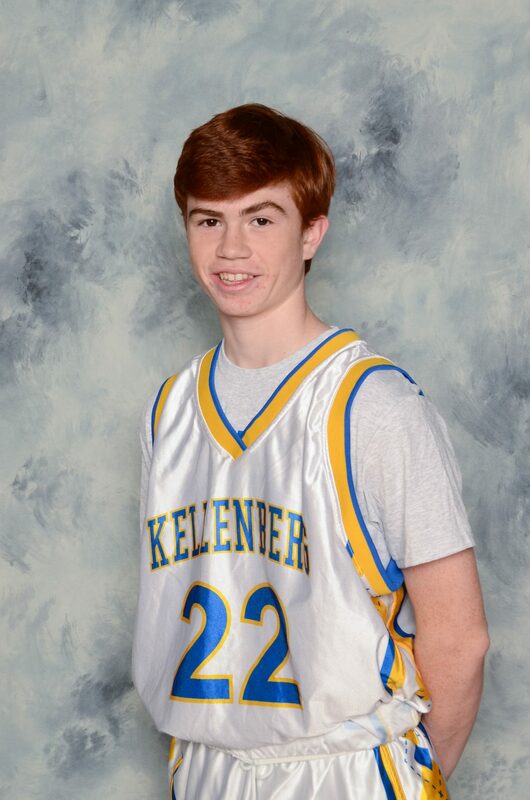 James joined the high school program as the only player from our Latin School. Early in the season, it was apparent that the speed and competitiveness of the league were overwhelming. 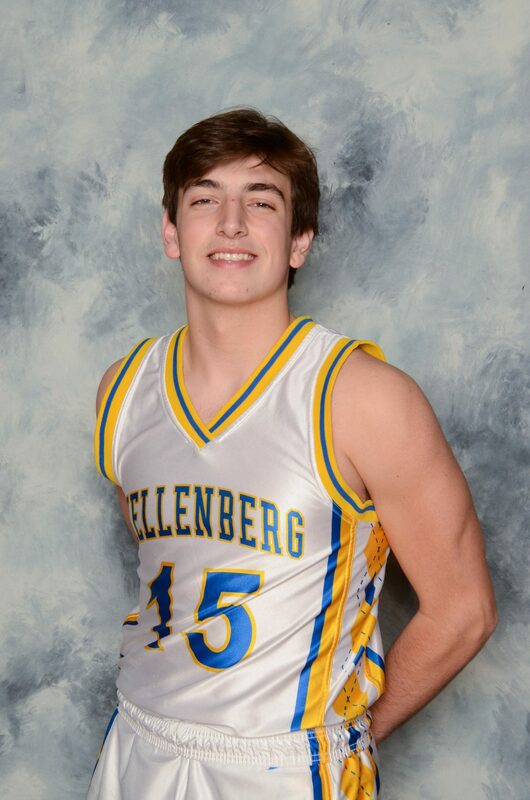 However, with a strong work ethic, he continued to earn additional minutes in games and became important during our semifinal game vs. St. Anthony’s. James was without any doubt our best player this season. 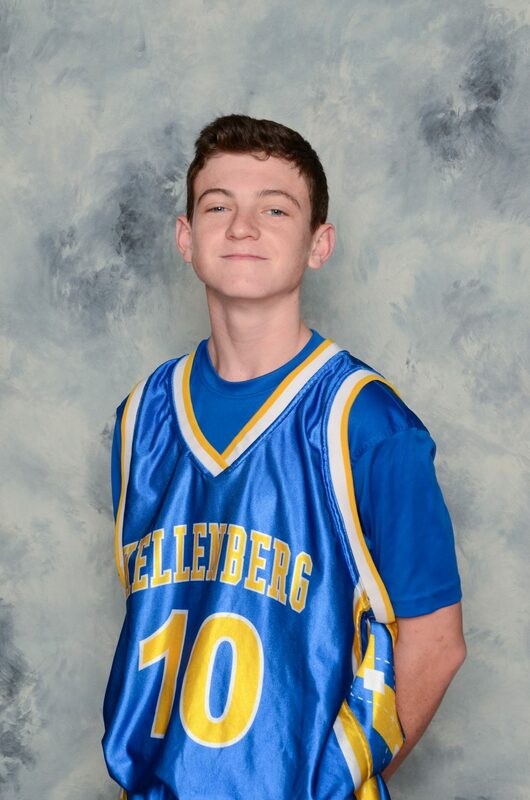 James was responsible for facilitating our team’s offense from the point guard position and naturally became the unofficial captain of this team. 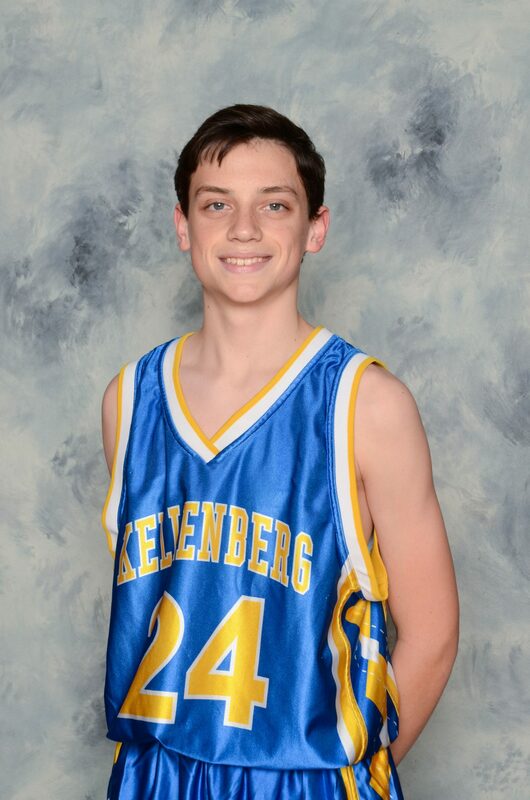 Teammates gravitated towards his knowledge of the game and leadership on the court. James was a pleasure to have coached this season. On a team full of guards, Maximus Mongelli had an uphill battle in front of him to stand out from the rest to receive significant minutes this year. Early on in the season, he was lost in the shuffle. However, due to his strength, fortitude and sheer toughness he was able to move his way up on the depth chart and eventually into the starting lineup. His hard work in both practice and in games was well noticed by the coaching staff and his increase in playing time was well deserved. He continued to improve on both offense and defense where he became one of our top perimeter defenders and rebounding guard as well as a top transition player. This year’s Most Improved Player is Maximus Mongelli. Each and every player in the beginning of the season great potential and were expected to play a specific role on the team. The coaching staff was very high on Liam Collins early on, showing great promise as a strong defensive player and shooter from the outside. Some playing setbacks and “sophomore” mistakes became a problem for him early in the season. Other players might have packed it in and accepted mediocrity, but not Liam. He continued to work hard in every practice to get better and fix those mistakes. He was committed to the team and to himself. Toward the end of the season the player we expected him to be showed up and helped us win some big games down the stretch. This year’s Bernie Ward Commitment Award winner is Liam Collins. The Most Valuable Player is given to a player who is exceptional in every aspect out on the court. Joe Durso was that player for us this year. He was the strongest and most physically powerful player out there with the skill to back it up. He could play as a guard or a forward, being able to score from anywhere on the court. He was our strongest defender, able to guard the best players around the league. He was the vocal leader in both games and practices. He was a true motivator that the other players on the team could look up to and get behind. He was the team’s leader both on and off the court and the driving force behind our successful season. This year’s Most Valuable Player is Joe Durso. This year’s Most Improved Player is Jessica Lampasone. 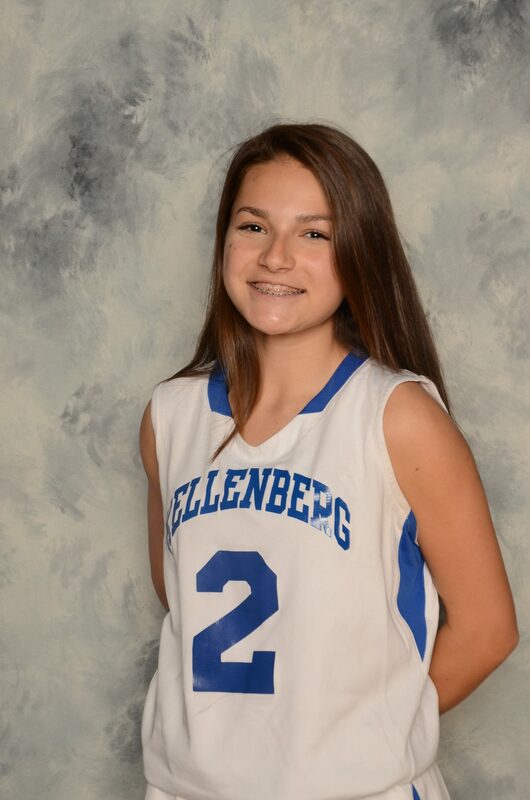 Jessica is an extremely talented and hard-working player- always looking for a way to improve her own personal game as well as helping the team succeed. She improved little by little through experience and instruction. Once the second half of the season hit, Jessica became a force to be reckoned with. Her defensive skills could not be beaten. As a point guard, her decision- making skills were spot on. And when she hit back to back three-pointers in a very close semifinal game, that’s undeniable! Jess quickly became a player that was not just wanted on the court, but needed on the court to win. I cannot wait to see her heart and courage next season! The Bernie Ward Commitment Award for this season is presented to Kylie McShea. One word I would use to describe Kylie — heart. She was the heart of this team. From the moment she stepped into the gym, Kylie took on a leadership role and she created a culture where everyone put their heart and soul into the game- just like she did every, single game. She quickly solidified her spot in the starting five and as a captain, Kylie displayed devotion on and off the court. Whether it was pulling down rebounds or setting screens for a teammate, Kylie always put the team before herself. I am so proud to have witnessed her strength and her love for the game. I am even prouder to say I have coached her and I cannot wait to see where her future takes her. This season’s Most Valuable Player is Mackenzie McAllister. Mackenzie started off the season coming off the bench. 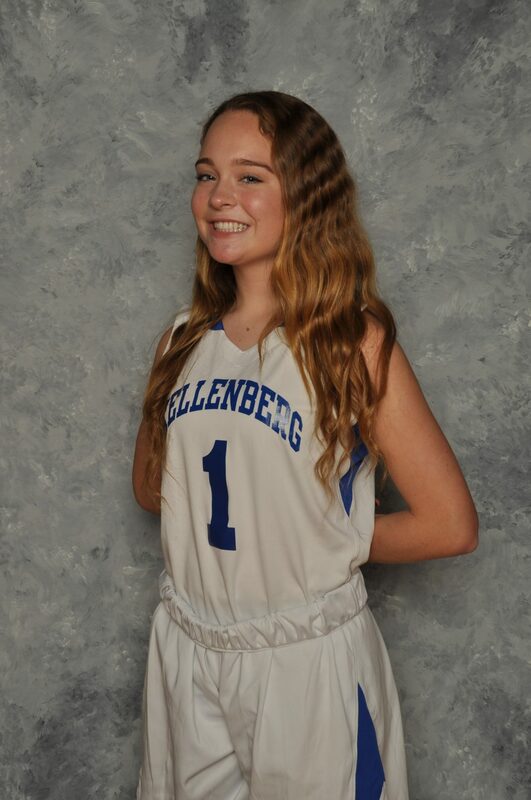 But it soon became evident that Mackenzie was a “must-have” on the court. Her defensive skills were unlike any other. Offensively, she always found a way to score when the game was on the line. But most importantly, Mackenzie’s drive and determination is what allowed her to develop as a wonderful captain and leader on this team. In tight games, Mackenzie was always our go-to. Whether it was to get a defensive stop or to put the ball in her hands to score the basket, she never disappointed. Her talent, her stability, and her confidence allowed her to bring a passion to the game that was intangible and the team followed her lead. Mackenzie, by far, was the most outstanding all-around player this season and I cannot wait to see how her basketball career continues. The Most Improved Award goes to a cheerleader who has shown tremendous growth, dedication, and perseverance throughout the winter season. Mia Kouletsis began the season as a base but finished the season as one of our main flyers. Just two weeks before the season ended, we challenged Mia to try flying in place of a flyer who was hurt. At first, she flew in basic stunts, but we soon saw she had so much potential in the air. By the last competition, Mia was confidently flying in every stunt sequence. We are so proud of how quickly she learned everything, even when that meant picking up on stunts and formations the morning of the competition. Her dedication and passion for cheerleading is evident, and we’re looking forward to watching her grow as a cheerleader. This seasons Most Improved Player is Mia Kouletsis. 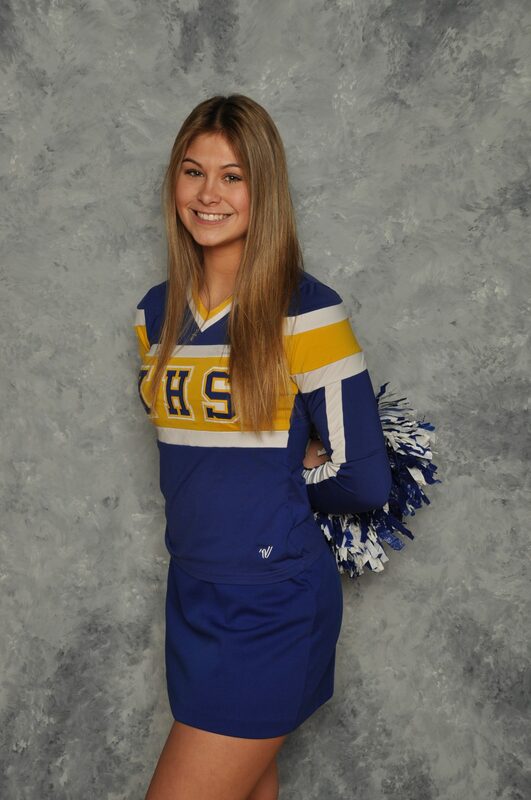 The Bernie Ward Commitment Award goes to a cheerleader who has shown tremendous dedication over the past two seasons. Every practice, Brianne Zaremba pushes herself to go above and beyond what is asked of her. Her commitment to the betterment of herself and the team is evident each and every day. We could always count on Brianne to have a positive attitude and open mind to anything put her way. No matter how tough a practice was, Brianne always left smiling. Her hard work, passion, and dedication make her an absolute pleasure to coach. We can’t wait to watch her grow as a cheerleader. This seasons Bernie Ward Commitment Award goes to Brianne Zaremba. 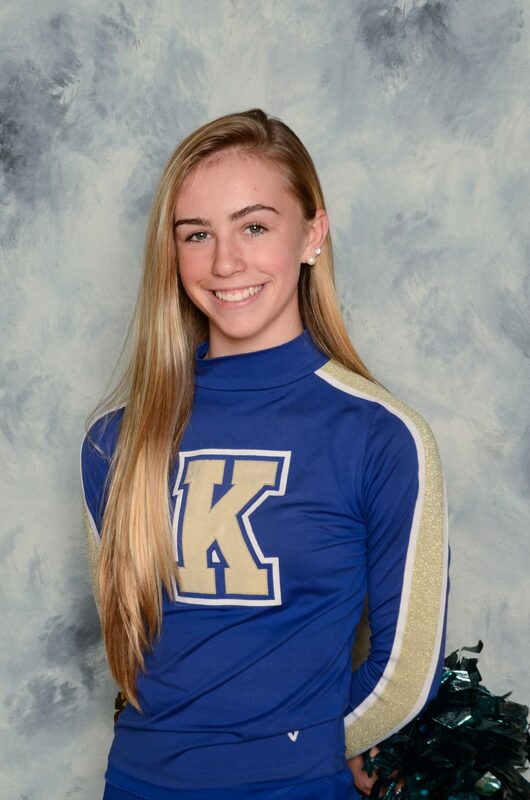 This season’s Most Valuable Player goes to a cheerleader who has been an asset to the Kellenberg cheerleading program since 7th grade. 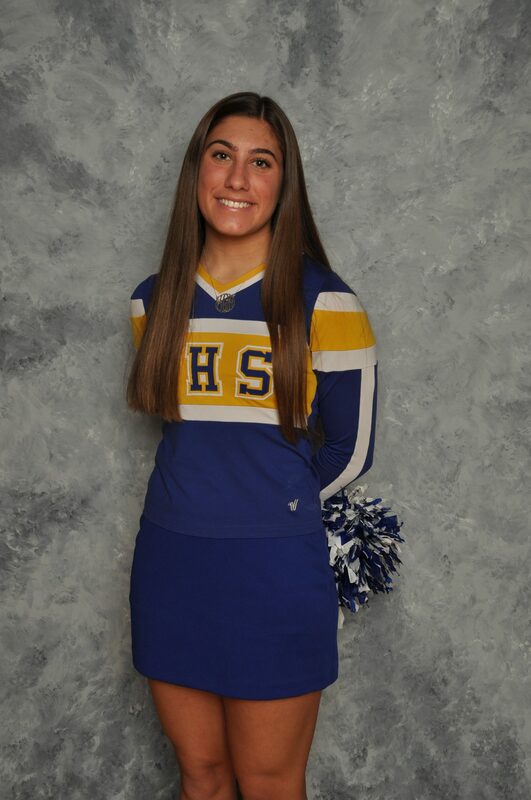 Caroline Franco is an all-around cheerleader with strong stunting skills, impressive jumps, and beautiful tumbling. Caroline pushes herself and her teammates beyond what is asked of them each and every practice. She is one of the strongest flyers on the team, and she is always pushing herself to be better. Her leadership skills and positive attitude make her a pleasure to coach. Caroline graciously accepts any challenge put her way, and does not stop working until she reaches perfection. Caroline excels in all aspects of cheerleading, and we can’t wait to watch her grow as a cheerleader over the next three years. This season’s Most Valuable Player is Caroline Franco. Brianna is one of the hardest workers on the team. She never settles for less than her best and works to make her best even better each day. She always took constructive criticism with a smile, knowing it was always to make her better. By the end of the season, she was one of our go-to bases; where we’d always look to try something new. Her never-give-up attitude was always apparent and always encouraged those around her to better themselves too. 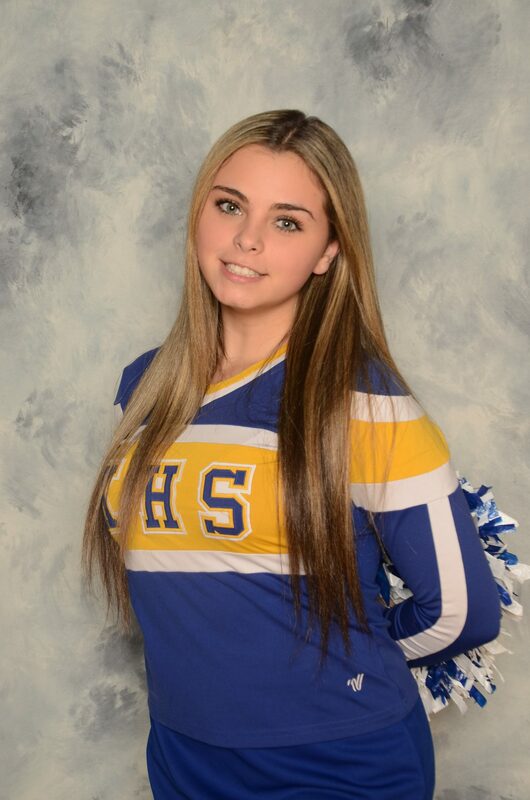 Isabella has been a part of the cheerleading program since the Latin school. Her elite tumbling made her a star early on. 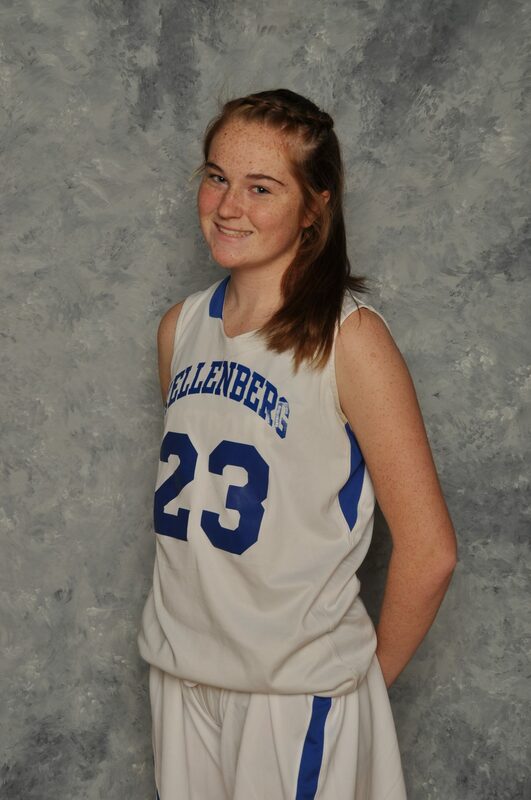 She has continued to grow in her skills, becoming one of the most talented athletes on our team. Her continued dedication to the program makes her very deserving of the Bernie Ward Commitment award, and we are excited to see what her future holds. With cheerleading being a sport that is team-based and has little room for individuality, choosing an MVP can sometimes be hard. When looking at this team of incredibly talented girls, we looked at who would be the hardest to replace on the competition mat. Who had we trusted to be in all of the most difficult portions of the routine? When we realized that athlete was Jenny, we also realized she was consistently one of the hardest workers. 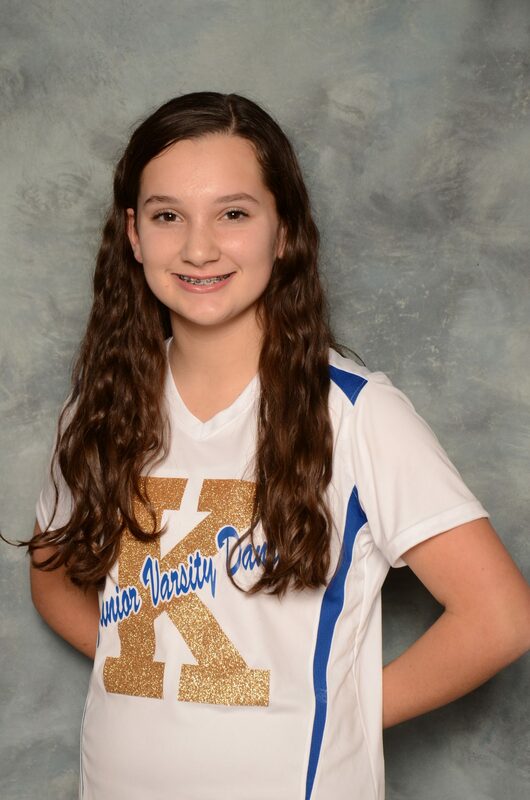 She constantly works to improve herself and is always looking at how she could better serve her teammates. We are very lucky to have coached an athlete like her and are proud to award her with MVP this season. 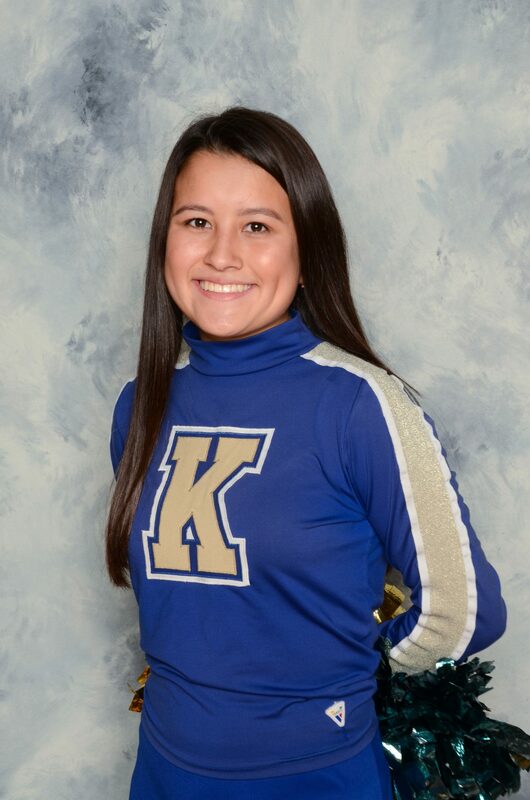 The Most Improved Award for the 2019 JV Dance team goes to Freshman, Jessica Bryant. When it was time to set up for her team, Jessica effortlessly took the role never missing a beat. She understands constructive criticism and takes every opportunity to become a stronger dancer. Her love of dance is very apparent when you watch Jessica dance. As coaches, we appreciate her hard work and consistency to perform better. This girl is definitely going places. 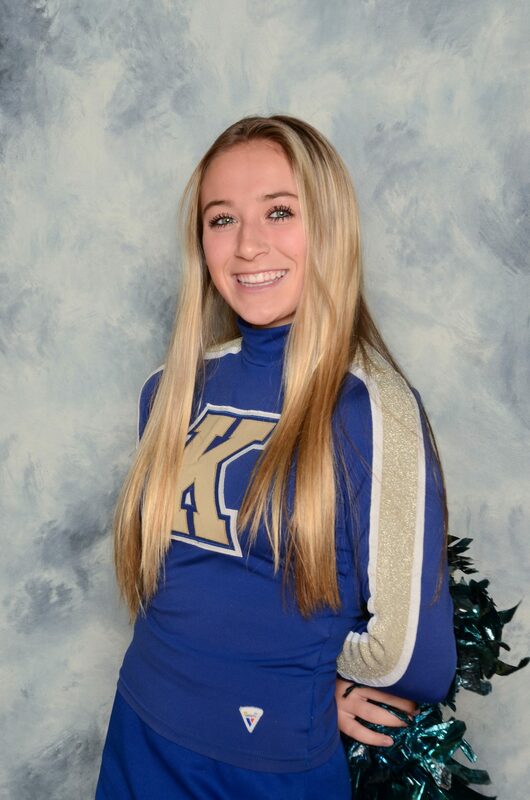 This year’s Bernie Ward Commitment Award goes to a JV dancer who is always the first member to show up for practice and has never missed a day. She is always willing to try new things and strives hard for her team. This dancer’s dedication and talents are undeniable. Her commitment towards her team has never faltered and Freshman Patricia Rood is totally deserving of this award. 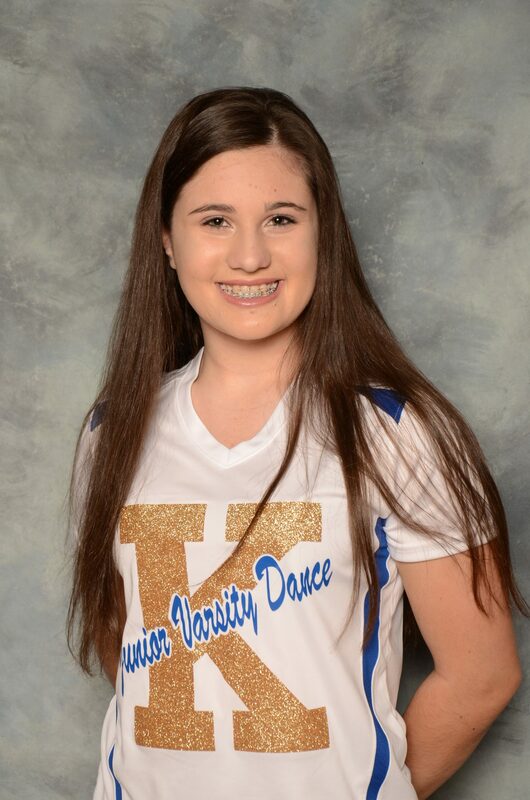 The recipient of this year’s JV Dance team Most Valuable Award goes to Sophomore, Chloe Accurso. For four seasons Chloe has excelled and has been such an inspiration to others. She sets the bar high for herself and holds others in the same respect. She is encouraging and genuinely loves to see the success of others. Her old soul and vibrant smile brought the passion needed, and she was a pleasure to have on our side. Her pint-size was never underestimated especially when she danced through her pains. Chloe is such a great dancer and was an asset to our team. She is completely worthy of such a prestigious award and we are so proud to have been able to be her coach. Matt Mormando started of the season as a good 200-meter runner. By the end of the season, he was arguably our best relay leg on the entire team. At the NSCHSAA championship meet he ran to an All-League as a member of the 4×200 meter relay. At the CHSAA Championship. He ran a great leg as a member of our All Catholic State 4×200 meter relay. 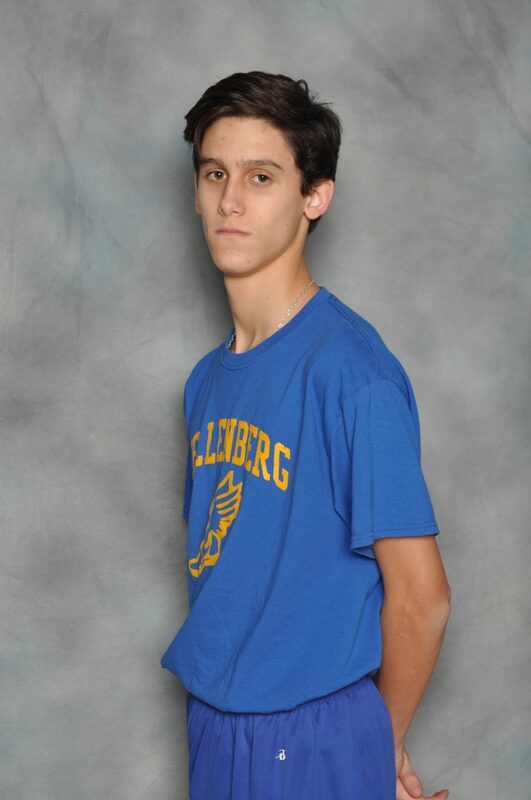 Matt then came back on the “B” 4×400 meter relay and ran the fastest leg out of all Kellenberg runners to win that team a medal. 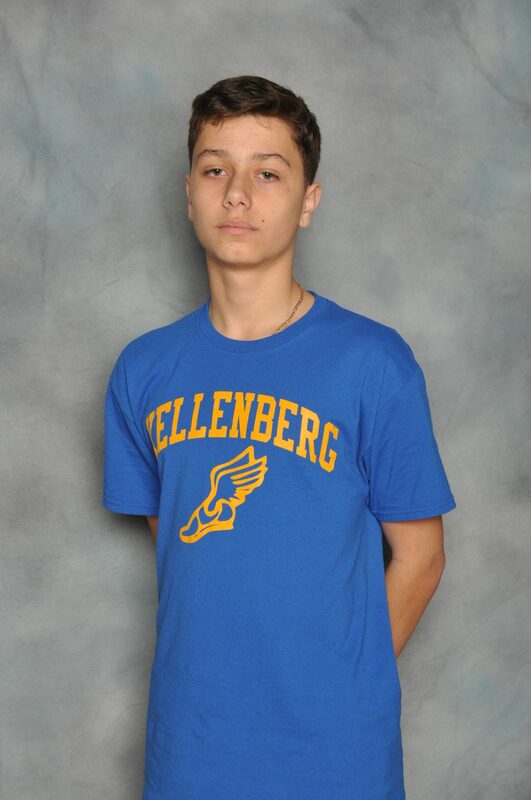 Bradley Lazo was the ultimate team player for the Winter Track Season. Whatever was needed Bradley did and Bradley did well. At the Freshman NSCHSAA Championship, meet Bradley won All-League Honors in the 600-meter. He then came back later in the meet to turn in medal-winning performances in back to back relays. In both relays, he was the key to us performing well. The Winter Track & Field Bernie Ward Commitment Award goes to Bradley Lazo. 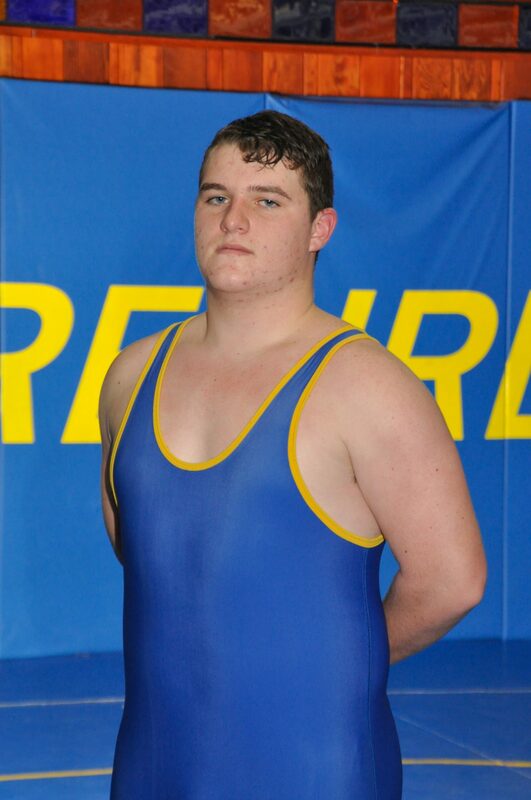 Rino Monteforte had one of the best seasons a Freshman Shot Putter has ever had in the history of Kellenberg. Week to week he improved on his impressive throws. He capped off his season by winning NSCHSAA League Championship. This year’s Winter Track & Field MVP goes to Rino Monteforte. 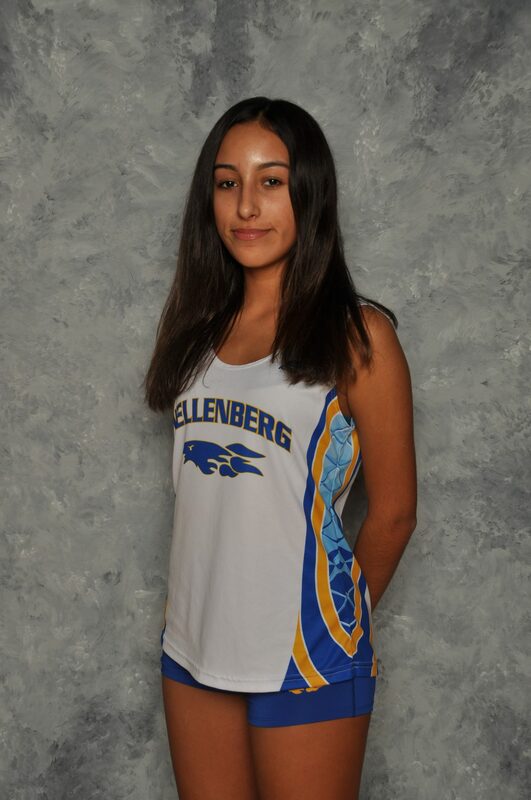 This young lady, a neophyte to the sport, dabbled in the sprints and mid-distance events. It was in the 400 meters, the long sprint, she made the most significant improvement. She ran on a critical scoring Varsity 4×400 relay in the Sectional league championship meet, and we are honored to bestow the M.I.P. award to Jessica DiFiglia. This young lady gave it or all season long. Never missing a practice, always early to practice, running workouts on the boardwalk on her own, and most important, never giving up, Tess Rundo was a winner. We are honored to award her The Bernie Ward Commitment Award. In a needed area of our track and field team, the throwing events, we need dedicated and committed young athletes to secure our team’s successful future. 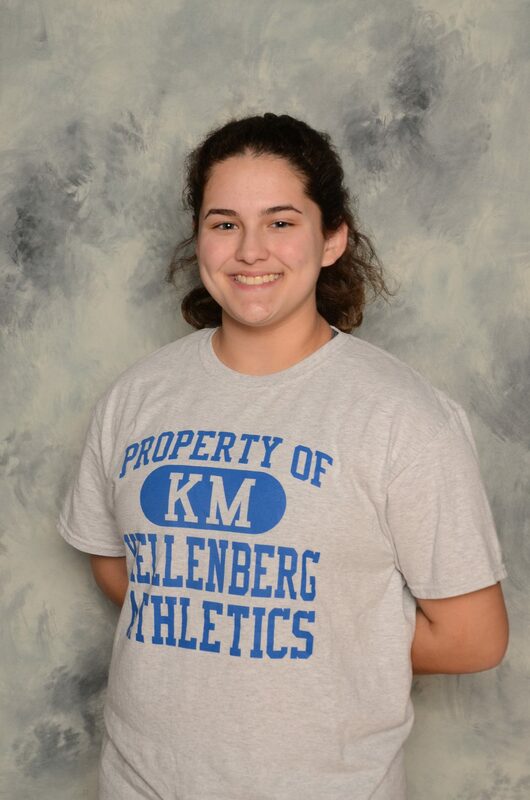 This young lady embraced all those fine qualities and was our highest scoring freshman in the freshman-sophomore NSCHSGAA championships, scoring quite well in the Shot-Put. 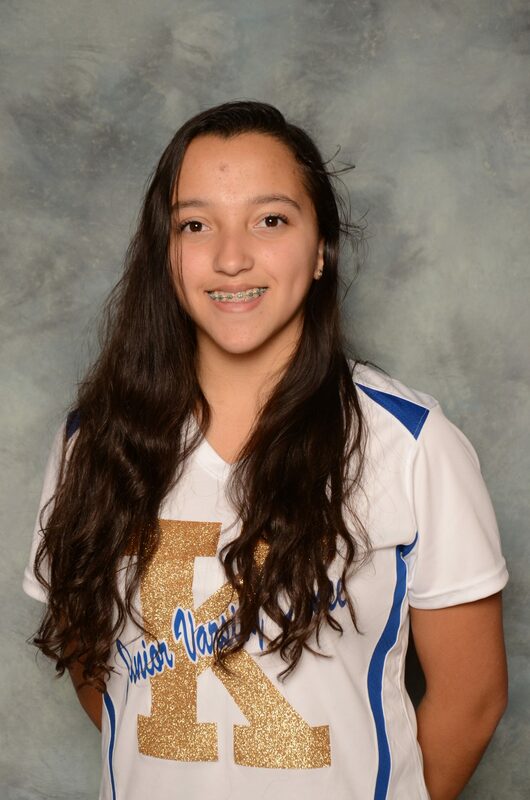 We are honored to bestow Natalie Pamulo our season’s M.V.P. At some point during the season, it all clicked for Robert Serviss. Timing is everything in wrestling and Robert picked the perfect time to begin to excel. 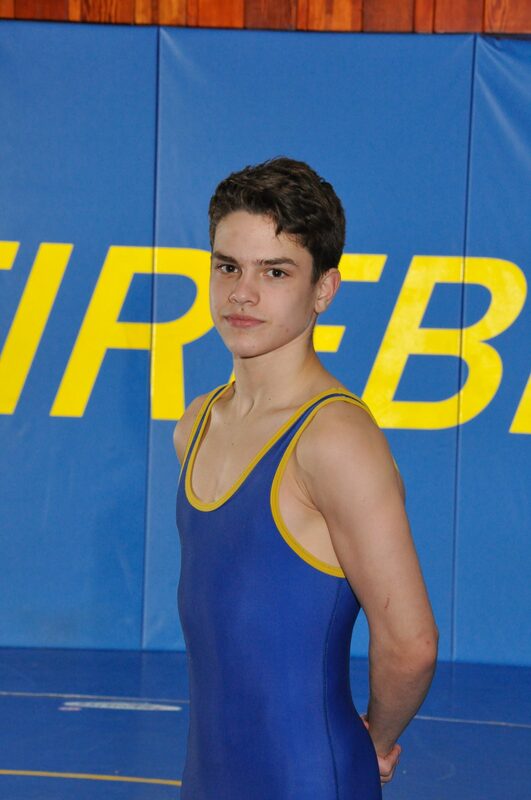 With a ferocious headlock, Robert went from a back up to placing at the league tournament and taking 6th place at the CHSAA Tournament. Robert Serviss is this year’s MIP. Tim McGrath showed up every practice and never had to be told to work his hardest. Despite being out-weighed by most of his opponents Tim never made any excuses. 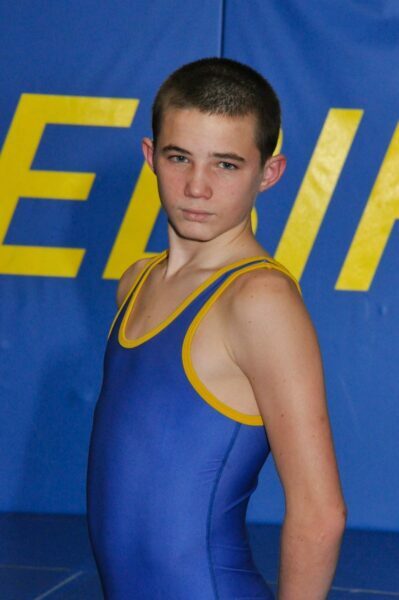 His determination and desire will no doubt lead to a lot of success in the sport of wrestling. Mr. Ward would have been proud of Tim’s work ethic and even more proud of the way Tim carries himself. This year’s Bernie Ward Commitment Award winner is Tim McGrath. 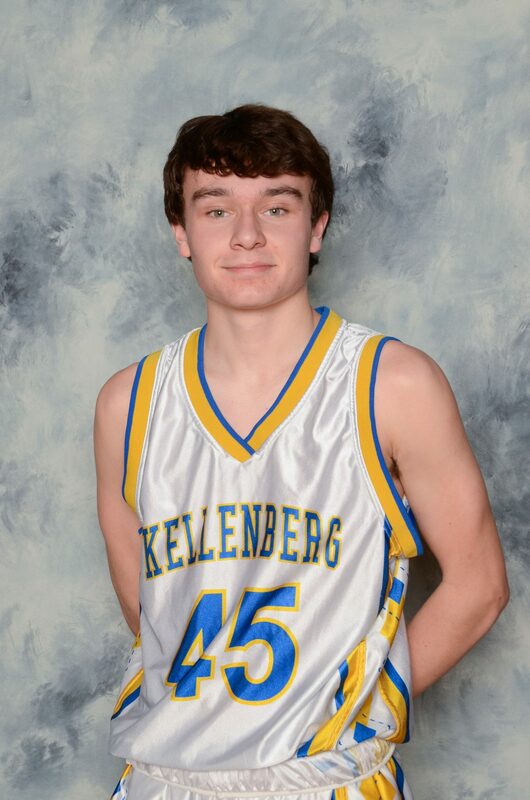 Ryan Palladino is the future star in the Kellenberg program. Ryan battles at practice and makes all the kids he works with better. And he’s just a freshman! He has the work ethic of a seasoned senior wrestler and hates to lose. He is one of the most talented freshmen the program has ever had in the program. This year’s MVP is Ryan Paladino. 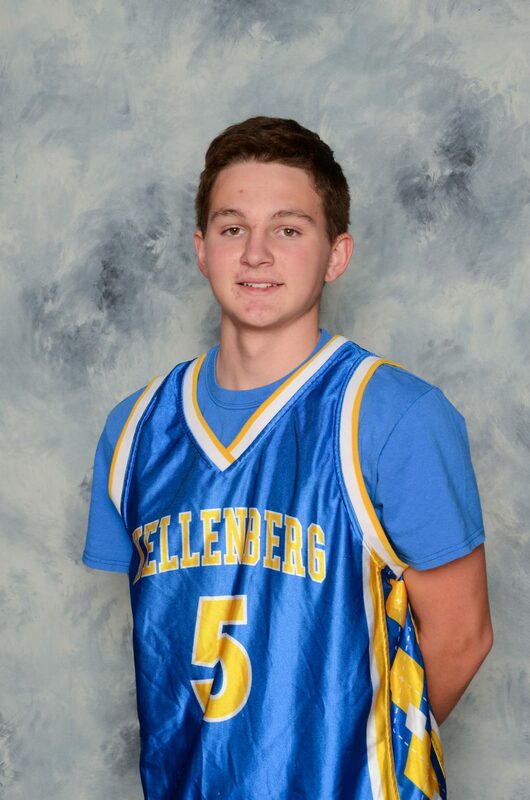 ​Kellenberg Memorial High School is a 510(c)3 non-profit.